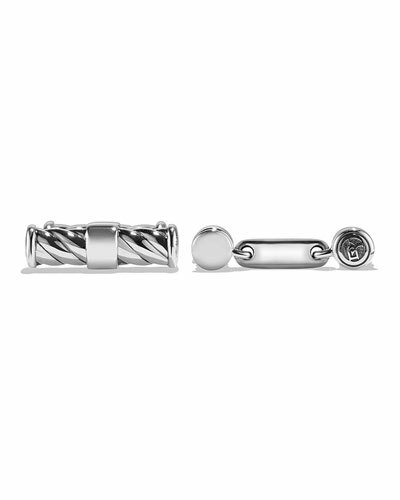 Add class and flair to any outfit with Neiman Marcus’ versatile assortment of men’s cuff links. 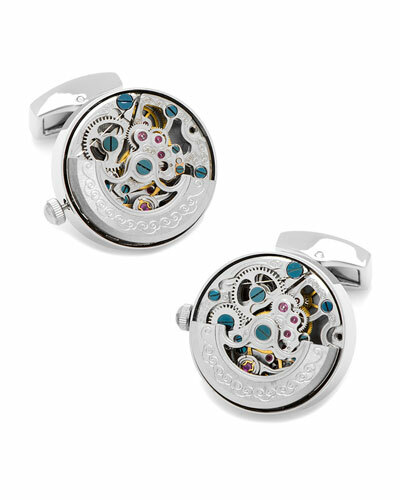 We have cuff links for men in various shapes, sizes, styles, and materials. 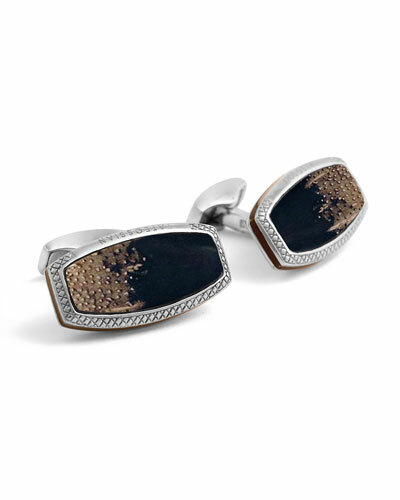 For a black tie affair, choose from our gold and sterling silver cuff links to complete your formal look. 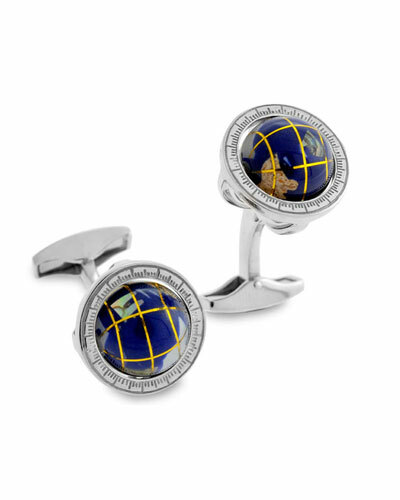 If you’re searching for something that’s elegant and dressy, try our diamond cuff links in attractive designs. 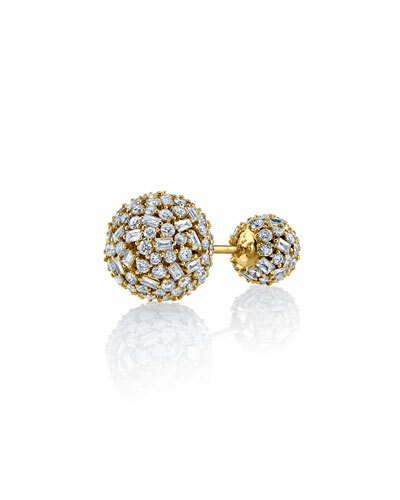 You can also choose from our themed collection. 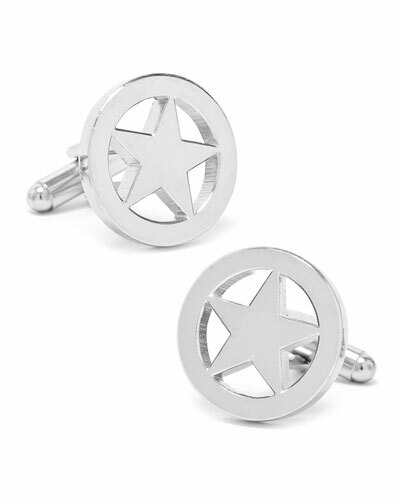 From superhero and sports cuff links to those etched with historical characters, we have them all. 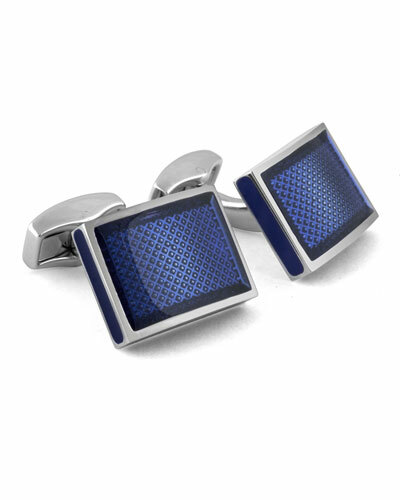 Easy to secure, our designer cuff links for men look stylish when paired with any formal or semi-formal outfit. 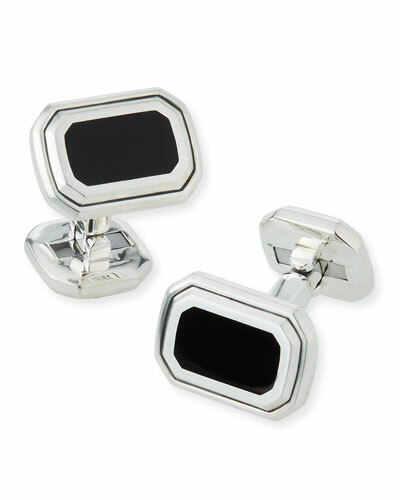 Shop Neiman Marcus for designer cuff links for men and complete your look. Alexander McQueen twin-skull bracelet. Coated brass hardware. Open cuff. Slip-on style. Made in Italy. 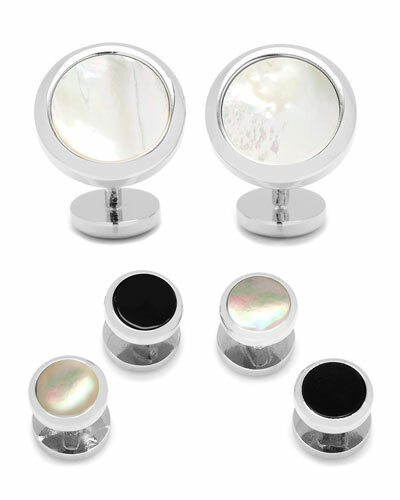 Cufflinks Inc. stainless steel cuff link and shirt stud set. Pavé preciosa black crystal insets. 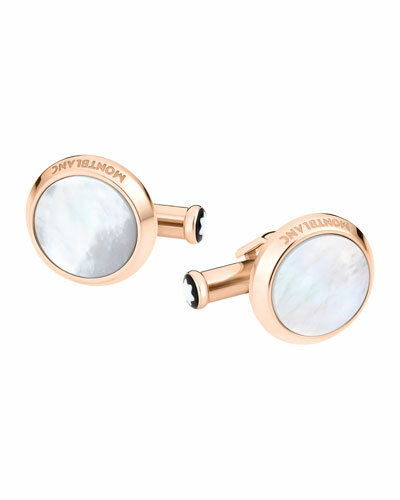 Cuff links: approx. 0.6" x 0.6" square. Studs: 0.4" x 0.4" square. Imported. Mr. Lowe men's bracelet with rondelles. 10mm faceted coffee quartz beading. Ebony rondelle spacer beads. Stretchy; slip-on style. Tateossian men's braided rubber bracelet. Black rhodium plating over sterling silver. Braided strand with D-shaped clasp. Approx. 7" L (18cm). Tateossian men's braided rubber bracelet. Black rhodium plating over sterling silver. Braided strand with D-shaped clasp. Approx. 7" L (18cm). Made in UK. 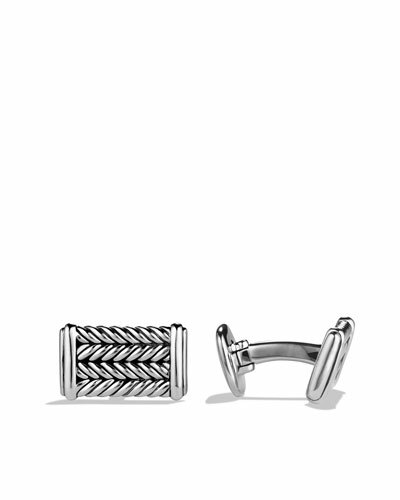 This unique yet subtle style features a metallic rubber, intricately braided, finished with our new D-shaped clasp. 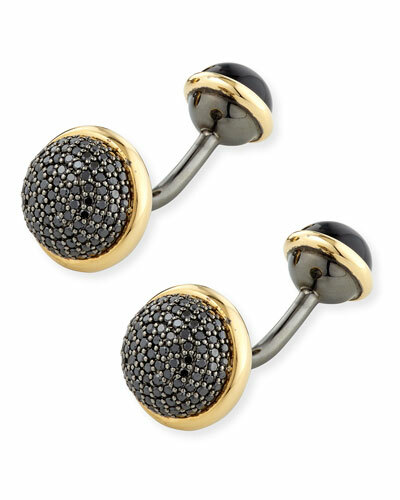 The clasp features a masculine, sleek satin finish.